As recent news shed light on the thousands of families who have been separated at the U.S.-Mexico border in the last month, and as political pressure on the Trump administration to end the practice continues to mount, The Architecture Lobby (T-A-L) and Architects / Designers / Planners for Social Responsibility (ADPSR) issued a statement that rejects the role of architects in designing such detention facilities. 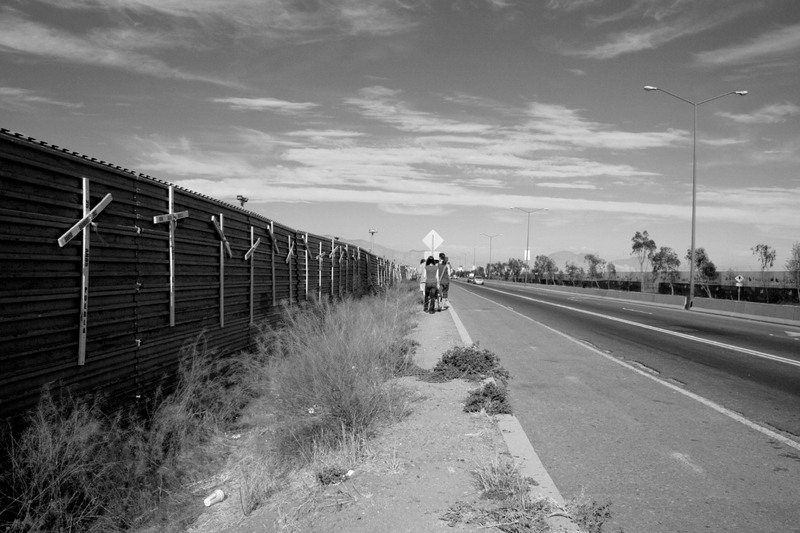 In their statement, both groups unanimously call for the federal government to end the militarization of the border and for architects to refuse to take on work that would further human suffering. “The Architecture Lobby and ADPSR call on architects, designers, planners and allied professionals to refuse to participate in the design of any immigration enforcement infrastructure, including but not limited to walls, checkpoints, Immigration and Customs Enforcement (ICE) offices, detention facilities, processing centers, or juvenile holding centers. We encourage owners, partners and employees who find themselves in practices that engage in this work to organize, and deny their labor to these projects. T-A-L and ADPSR directly called upon the national AIA to “to prove its commitment to making more diverse, equitable, inclusive, resilient, and healthy places for all people.” As the 2018 AIA Conference on Architecture kicks off today under the “Blueprint for Better Cities” banner, architects from all over the country will be gathering to discuss how to improve cities for their inhabitants. With Walmarts being repurposed as child detention facilities and as the Trump administration floats the idea of building more “tent cities” to house migrants, architects will likely continue to be contracted to design these facilities. In their statement, T-A-L and ADPSR have asked that the AIA directly comment on the practice, and publicly condemn, or excommunicate, its members who would willingly work to design them. For its part, the AIA has issued past statements against immigration and visa restrictions and their impact on the profession, but nothing about the actual practice of taking on such work. AN will update this story with any potential responses from the AIA. On the grassroots level, at the time of writing, a document has been making the rounds on Twitter that lists the architects and contractors who have been identified as working on such facilities, with contact information for many.